Congratulations to Łukasz from Hike Norfolk on Completing 100 Mile Walk! 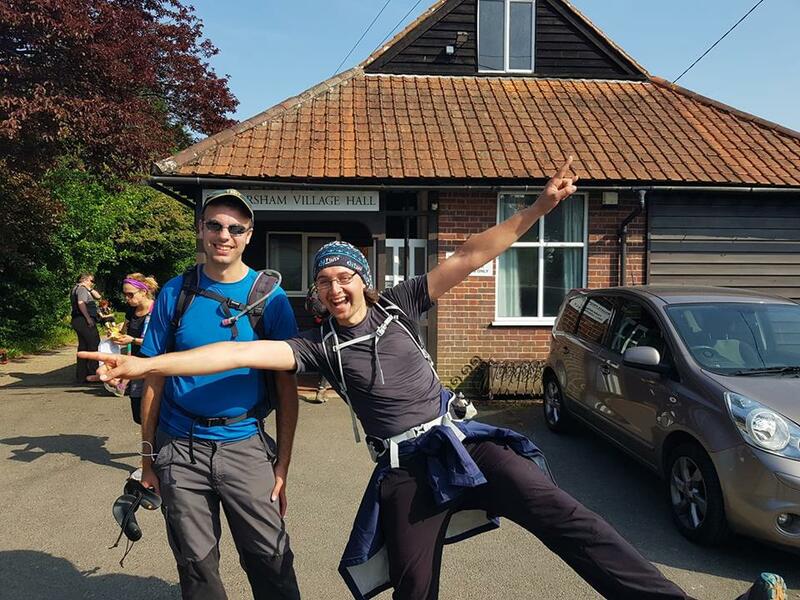 Congratulations to Łukasz (on right in above photo), the chair of Hike Norfolk, for his brave efforts in completing the 100-mile walk across Sussex and Kent last weekend. The walk, organised by the LDWA, was attempted by 450 people and a third withdrew before the end. Łukasz was joined by Rob (on left in above photo), from Suffolk Ramblers, who was also successful in his attempt to complete the walk. The pair completed the walk within the maximum time limit of 48 hours and the distance was completed without sleep. “Rob and Łukasz both showed enormous energy and determination in completing the walk. The walk requires significant mental and physical efforts and it’s a seriously impressive piece of walking”.